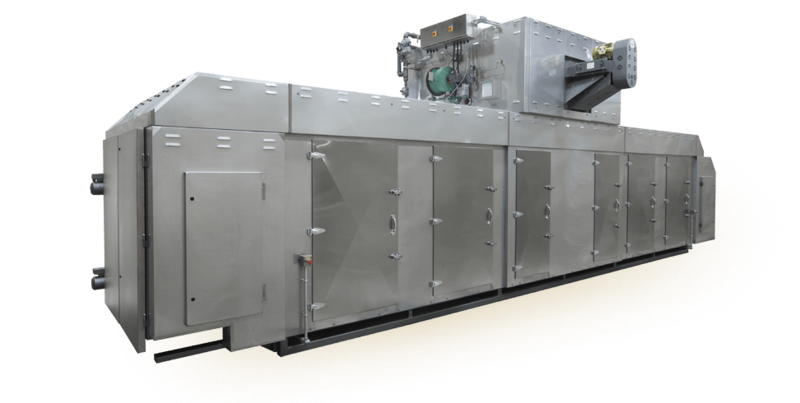 The Reading Pretzel Multi-Pass Dryer efficiently reduces product core moisture improving overall quality and storage characteristics. 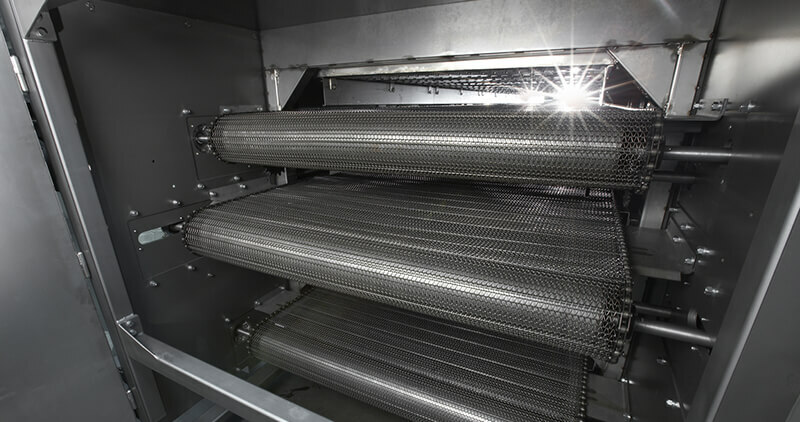 Inside the Dryer, products pass along three different conveyors while hot air is forced through the product pile from above and below the conveyor belt. Air is heated in the penthouse above the Dryer and forced through the plenums surrounding the conveyor belts. The penthouse is split into two chambers which allows flexibility to control temperature and air flow to alter product characteristics. 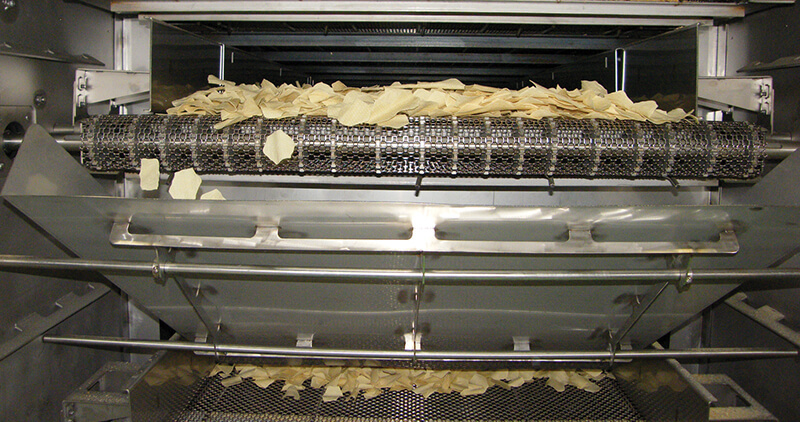 Air temperature and air velocity can be modulated during production to control the amount of moisture removed from the product.